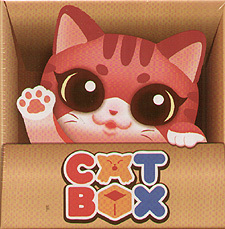 Cat Box is a simple yet clever card game, about cats and the boxes they love. At the start of the game, players are handed a secret winning condition, before playing cards (from anyone's hand) in order to score the most points. But be careful. Give away your kitty's colour too early and others will be able to block your plans.